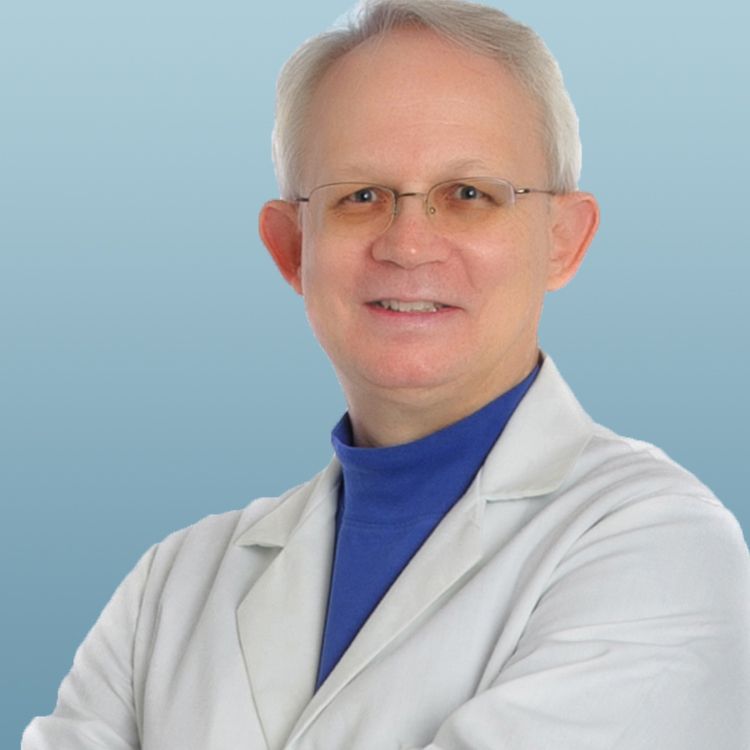 Steve Anderson has a Ph.D. in Immunology with 25 years experience in biomedical research in the areas of immunology, HIV pathogenesis, and the use of gene knock-out mice for discovery of novel therapeutic targets. He recently left his position as Director of immunology at Lexicon Pharmaceuticals, Inc. to pursue a career as a scientific writer & illustrator specializing in creating educational materials for the life sciences. In the following article Steve interviews *himself* after attending his first AMWA conference. SA: What were your goals and challenges going into the conference? Me: Being new to the field and profession of medical writing my biggest challenge was a total unfamiliarity with the field, what opportunities exist, what credentials are required, and how to break in—somewhere. My second biggest challenge, predictably, was not knowing anyone. Not knowing the other attendees is not unusual for me, but a bigger “issue”, is not knowing who the most beneficial (i.e. most influential) people are to know, who are the best leaders of workshops, etc. 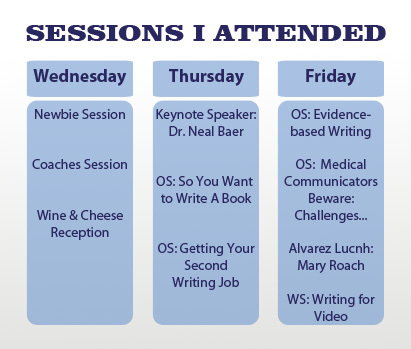 This made it pretty difficult to select workshops and sessions to attend—I was flying blind. Having said that, my goals in going to the conference were 3-fold: (1) to become familiar with the field and profession of medical writing, (2) to meet some people and get some idea of who’s who, and (3) to figure out if there is a place for me in the profession, and what my niche and/or best fit might be. SA: What was your overall impression? Me: Going in, I was impressed by how the conference was set up to facilitate and promote networking. That was clear even from reading through the program, and it was a main focus of the conference—although I didn’t really take advantage of the opportunities. Sorry, I’m a terrible mingler. My overall impression of the conference was very positive. I met some really nice people who have a lot of talent and experience, I made some good choices in the sessions I attended, and I took away something useful from each of them. SA: Did your view of medical writing as a profession change? Me: I guess you could say I was one of those scientists who thought he could become a medical writer in some capacity just by declaring “OK, now I’m a writer”. I was perhaps a little less naïve than some because earlier this year I attended a portfolio evaluation night for novice graphic artists and learned that there is more to being a graphic artist than knowing how to use Photoshop and Illustrator. (That’s what some would call a “Tooler”). At the conference I learned that there are many sub-specialties in the field of medical writing, each with its own language and set of rules and regulations to which one must adhere. I was at once intimidated by people with lots of professional writing experience and a history of having repeat clients (for freelancers) regardless of what their educational background was. So once again I am at the bottom of the heap. I am still hoping that my science background will give me an advantage in some sense. SA: What were the messages you took home from the conference? Me: Note to self: no breakfast sessions. Just kidding, but it was really hard for me to get going in the mornings. Usually I’m a morning person. I could change that rule to “don’t eat a big dinner at 10 pm”. Seriously, I already mentioned the networking opportunities, of which there were many. I’d have to give myself a FAIL in that regard, so the message would be “next time bite the bullet and make an effort to meet more people”. Finally, and most importantly for me, was the theme of “storytelling” that ran throughout the conference, from the two main speakers to the “Writing for Video” workshop I attended. I realized that this is something I am really interested in pursuing, and that it is important for me to let my sense of humor come through in my work. SA: Will you do anything to follow up? Me: I plan to explore the AMWA website, and in particular the job board. I also submitted the volunteer interest form and hope that I will find a way to become active in the organization. SA: What do you hope to get from that? Me: Exposure. And finally, as far as follow-up, I was able to rule some things out as avenues to pursue within the field, and also discovered some avenues I would like to explore further. SA: Was the conference a success for you? Me: Definitely. Each morning I was bubbling over with ideas and eager to get started on some great new project. Now THAT’S a successful conference! SA: Would you go again? For more information about Science and Medical Writing as a career visit the American Medical Writer’s Association web site at www.amwa.org.